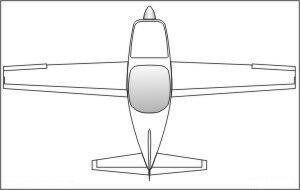 The Questair Venture was developed as a two place, all metal, kit built aircraft with the design mission of fast, all weather cross country travel. 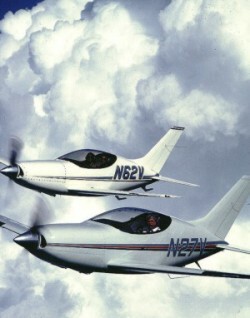 As a result of its small physical size and large operating envelope several interesting challenges were encountered during the flight testing of the aircraft. The longitudinal flying qualities were tailored to provide the feel of a much larger aircraft through the use of an artificial feel system which also incorporates a trim function. 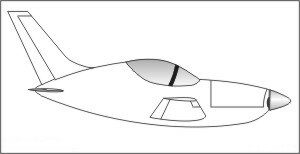 The low speed and stalling characteristics of the aircraft were greatly improved by using a wing leading edge modification. The high speed/flutter characteristics of the aircraft were tested and verified using ground vibration tests and instrumented flight tests. Without doubt one of the fastest kit aircraft produced and great success has been enjoyed at Reno Air Races, but the aircraft was never without its problems.